PVC foam tape is a flexible, resealable tape with excellent compression recovery and resilience. Our vinyl foam tape is also fire, UV and chemical resistant. This tape is stocked as a single sided PVC foam tape; however, double coated adhesive is available by request. 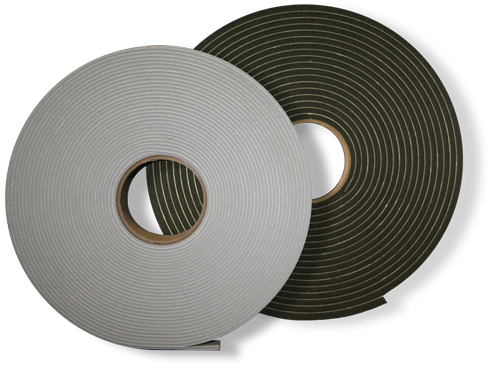 Our single sided PVC foam tape is available in standard medium and low density options. View or download technical data sheets for our single coated PVC foam tapes below. PVC foam tape is an excellent choice for exterior weatherseal. However, it also performs well as a sound barrier or vibration damping solution. * Terms and conditions apply. Minimum purchase required. Subject to material availability and payment terms. Certain exclusions apply. Contact us for more information.